We are all no doubt excited about the progress being made with the HTML5 client in the latest vSphere 6.7 release. 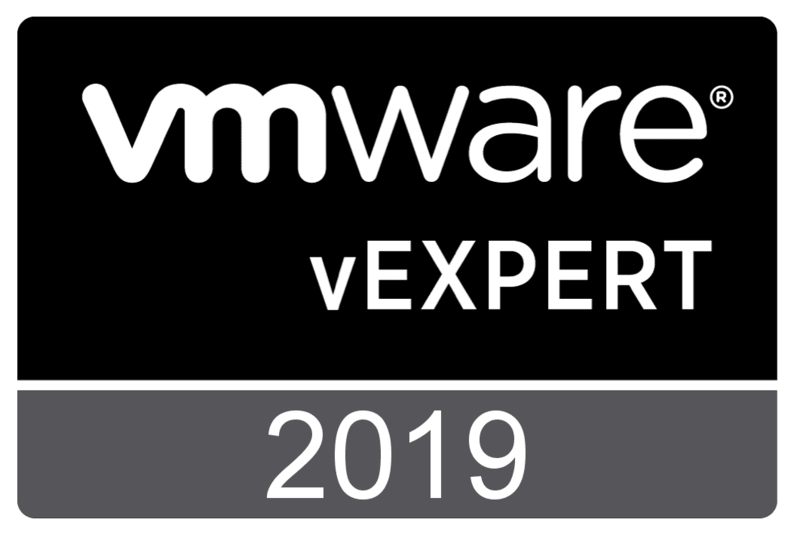 VMware has certainly made tremendous progress in getting the functionality not only ported over but also new and improved workflows in place with the HTML5 client. The vSphere Update Manager functionality is now in HTML5 trim. 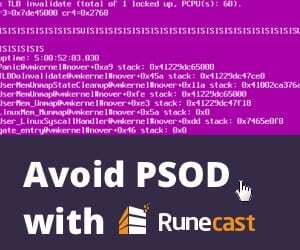 There are still things you can’t do in the HTML5 client such as configuring the ESXi quick boot functionality, but the basic VUM functionality is there now. 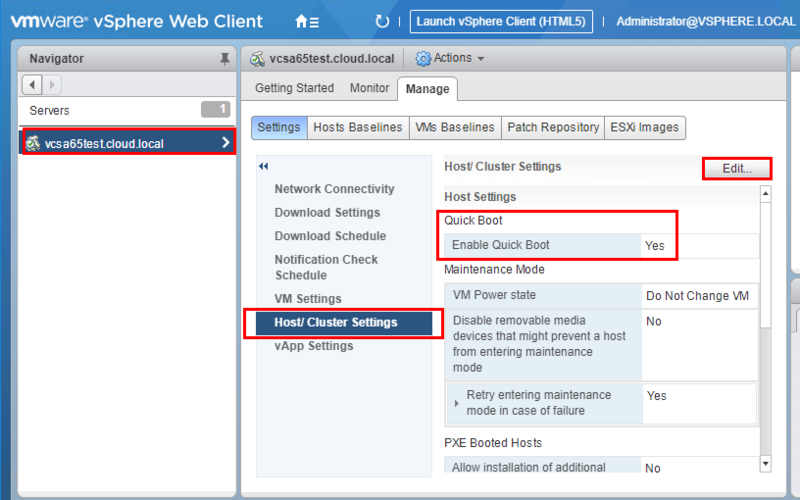 Let’s take a look at Configuring VMware ESXi 6.7 Quick Boot and HTML5 vSphere Update Manager VUM functionality. 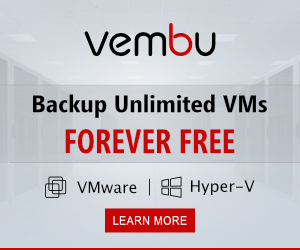 What is VMware vSphere 6.7 Quick Boot? What is the Quick Boot functionality? 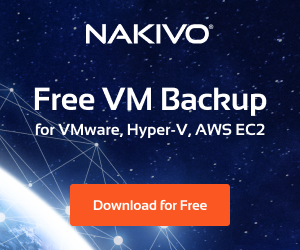 Quick Boot functionality allows restarting only the hypervisor instead of going through a full reboot of the host hardware including POSTing, etc. 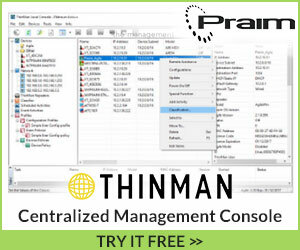 This functionality is utilized with vSphere Update Manager so that patching and upgrades are completed much more quickly. A note here before getting excited about potential backwards compatibility, this functionality is only available for hosts that are running ESXi 6.7. Even if your hardware is compatible with the new Quick Boot, if you are running a legacy version of ESXi, this won’t be available. As you can see below, the script quickly points out that my Nested ESXi 6.7 installation is not compatible with Quick Boot. As mentioned configuring VMware ESXi 6.7 Quick Boot functionality must at this point be done in the flash “Flex” client. 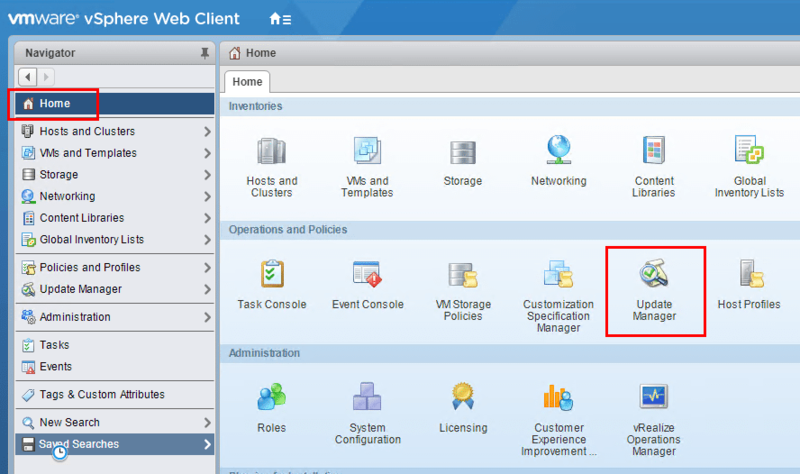 Click your vCenter Server on the left under Servers and then select the Manage tab. Select Host/Cluster Settings and click the Edit button. As you can see the Quick Boot functionality comes down to a simple checkbox. What was interesting, my nested ESXi host has this checked by default. 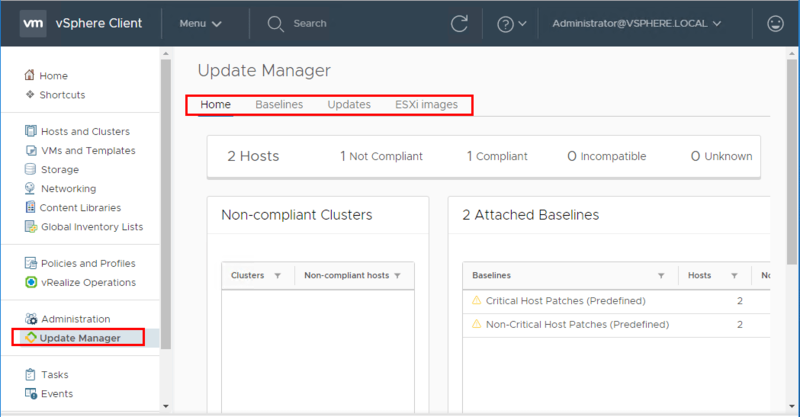 Navigating the new HTML5 vSphere Update Manager functionality. Below, clicking on a host then clicking the Updates tab. Notice the familiar actions however with the Attach button ready to attach an updates baseline. 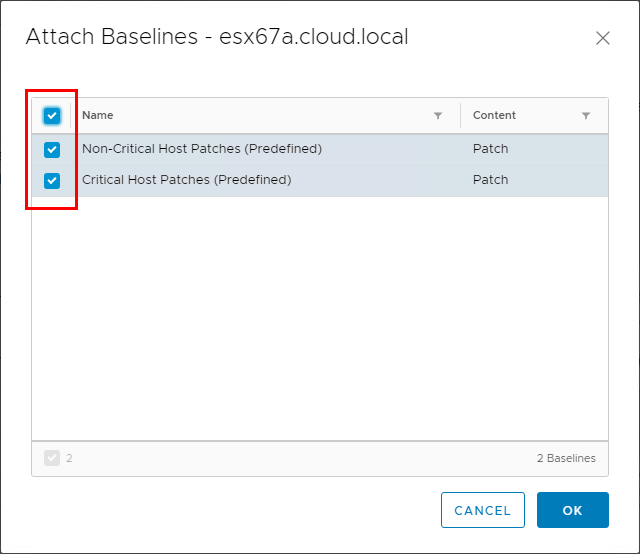 Attaching the default Non-Critical Host Patches and the Critical Host Patches to an ESXi 6.7 host. Notice the Check Compliance button. Switched gears below since there are no patches as of yet for ESXi 6.7. I added in an ESXi 6.5 host into the infrastructure, attached the baselines, and ran the Check Compliance operation. Notice I now have patches displaying that can be remediated. A point to note also, you have the link Go to Update Manager Home button that takes you to the Update Manager Home location where you can add images, etc. After navigating to the Update Manager Home location. Note the Baselines, Updates, and ESXi Images tabs. 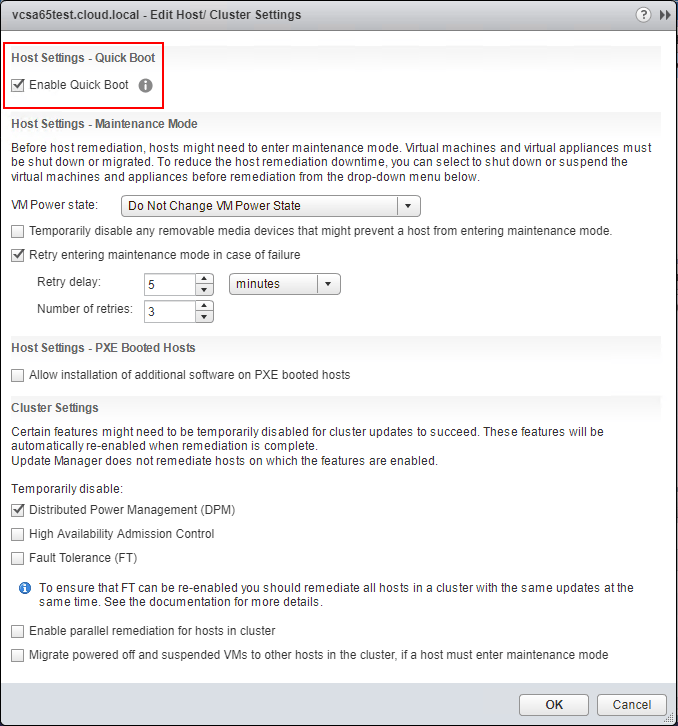 Configuring VMware ESXi 6.7 Quick Boot and HTML5 vSphere Update Manager VUM are great new features found in vSphere 6.7. The more I dive into this release, the more excited I become. 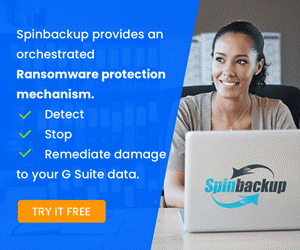 There is just so much new functionality and features that allow administrators to be more effective and efficient in carrying out tasks in their vSphere environments. The new Quick Boot feature will greatly reduce the time it takes to patch and upgrade hosts. Also, the HTML5 vSphere Update Manager functionality included with this release definitely helps to close the gap on things that were missing from the previous HTML5 experience prior to vSphere 6.7.